Mumbai-based U Education Management Pvt. 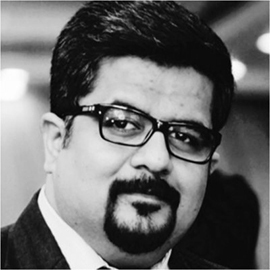 Ltd, which runs online education startup for working professionals Upgrad, has appointed Ritesh Malhotra, the former vice-president, sales, of Tech Mahindra, as the head of its business-to-business (B2B) vertical. In a release, the company said Malhotra will spearhead all initiatives related to the expansion of Upgrad’s B2B business. “This fiscal, our focus is going to be on B2B since it helps build credibility and acceptance for online programmes. There is a huge gap between acceptance and relevance, and we can bridge the gap only if companies choose to invest in up-skilling their employees. With Ritesh joining our team, we are confident to reach out to many such organisations looking to do the same,” Upgrad co-founders Ronnie Screwvala and Mayank Kumar said in a joint statement. Earlier this month, Screwvala had told The Economic Times that the company was looking to invest Rs 100 crore into the B2B segment. Malhotra, an MBA from Indian School of Business, has nearly 15 years of experience in mergers and acquisitions, business development and strategy. As part of his responsibilities as the sales head of Tech Mahindra, he also oversaw the marketing and mergers and acquisitions activities of the company. According to his Linkedin profile, Malhotra was part of Vodafone India’s business development division, overseeing its wifi, mobile data and smart-cities infrastructure verticals, before joining TechM. “Over the last few years, the gap between available and desired skills has widened and our traditional education and training ecosystem has struggled to keep pace with technology-related job evolution. I see UpGrad as a growth engine for the Indian services industry and a catalyst for emerging products and entrepreneurial ventures,” said Malhotra. Founded in January 2015 by Screwvala and Kumar, along with Ravijot Chugh and Prabhav Phalgun, UpGrad skills working professionals in data analytics entrepreneurship, digital marketing, marketing and communications, and product management. Since its inception, the company was internally funded by Srewvala’s Unilazer Ventures. In an interaction with VCCircle, Kumar had said that the company will not look at external funding unless the collaboration and partnership is strategic in nature. Kumar had also said that acquisitions will play a major role in its growth strategy and that the company is on track to achieve Rs 100 crore in gross revenue for 2017-18. However, Upgrad’s data analytics programme, which is the biggest business generator for the company, has already turned profitable, and it hopes to turn profitable at the aggregate level by the end of this financial year.